Box: Red box, white letters. Box suitable for hanging. Each side features a list of the contents contained inside the box. On the top and bottom flap is PP-11340. Box contains 10 individually packaged records each in a full color picture sleeve. 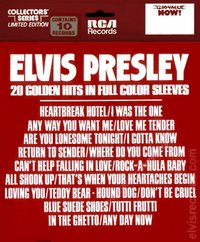 This box set features 10 records that are part of the set RCA PP-11301 15 Golden Records - 30 Golden Hits. 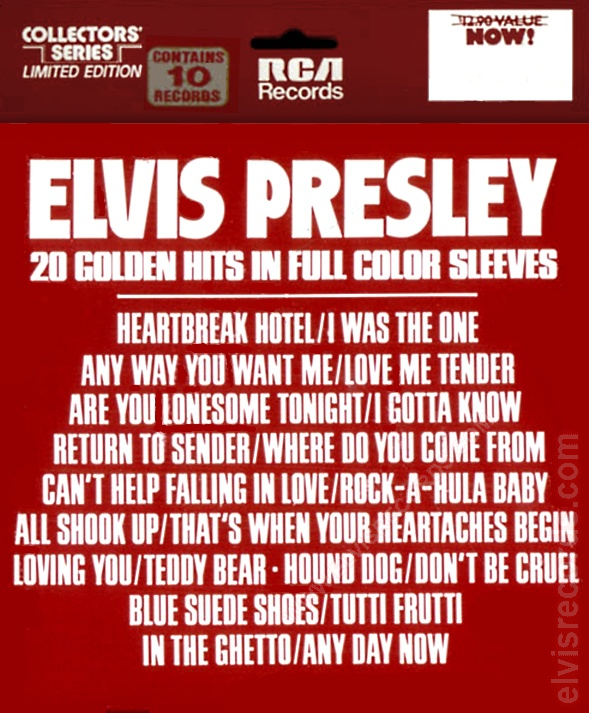 All records in this COLLECTORS' SERIES LIMITED EDITION are issued in the GOLD STANDARD SERIES. Corresponding reference numbers for each title are listed above. These titles are listed individually as some may have access to only one title of this set.